From the evidence list I used: travel accents, something transparent, metal, buckles, faux leather, and paint, From the testimony I scrapped about a journey and placed my journaling inside a suitcase. 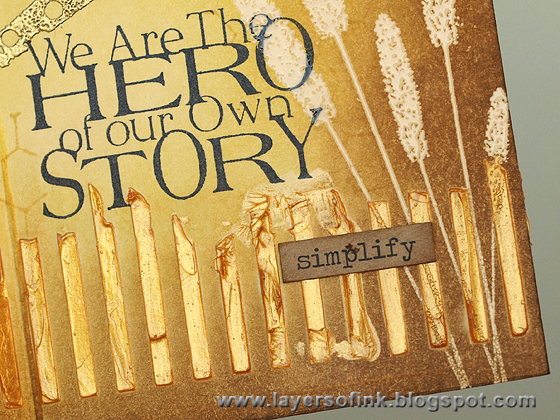 I also did this layout for the Hero Arts challenge to use their Stamp Your Story line, which I love. For the background I applied molding paste through two Hero Arts stencils, left it to dry and then washed it with watercolour paint mixed into celery green. I really enjoy trying to mix up paint to match the colour combos, watercolours dry lighter, so it is a bit tricky. Behind the photo there is an old map page, showing one of the areas which we travelled to during this trip. When the green paint was dry, I splattered dots by tapping a paint brush over the paper. 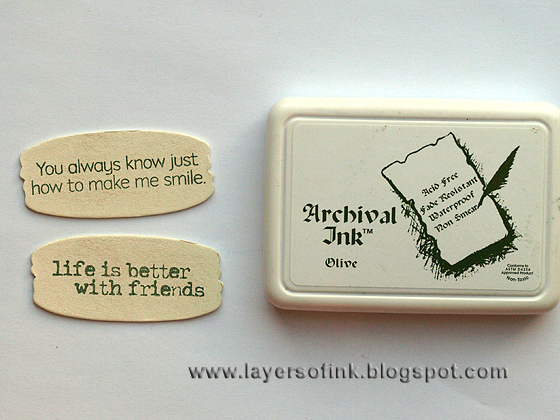 I also stamped with a script stamp on top of the molding paste, just to give a hint of text. I used the same brown-grey paint to dry brush paint on some areas of the layout, mainly the edges and the stencilled parts. 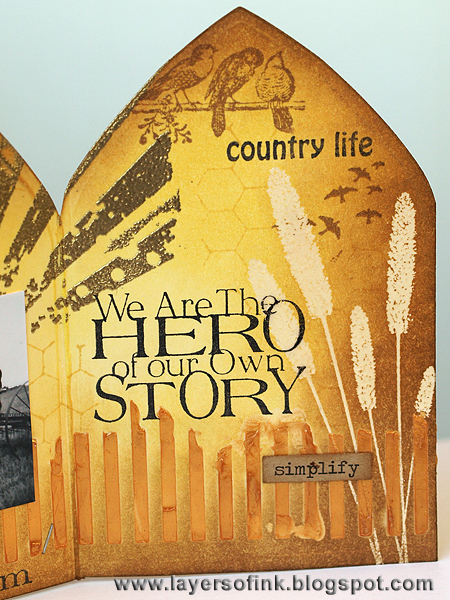 Two Hero Arts circles (Painted Circle and from the Texture and Shapes set) were stamped with Scattered Straw, first misting the stamp with water for a watercolour effect. The little heart comes from the Remember set and the word from My Words. With a fairly dry paint brush, I added some lines here and there. 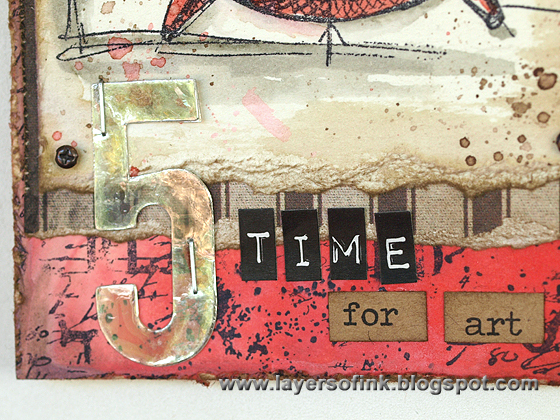 The title was stamped with a combination of alphabet stamps and a sentiment stamp.The hearts were die cut from grungeboard, inked with red distress inks and coated with Crackle Accents. 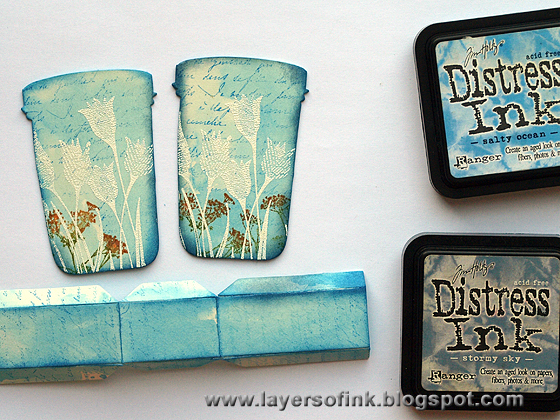 When I saw the case file, I immediately knew I wanted to use Karen Burniston's Suitcase die, as a holder for my journaling. 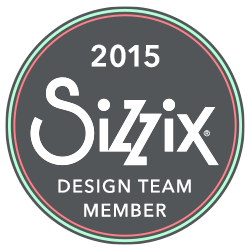 This is a Bigz die so it can cut through lots of material. 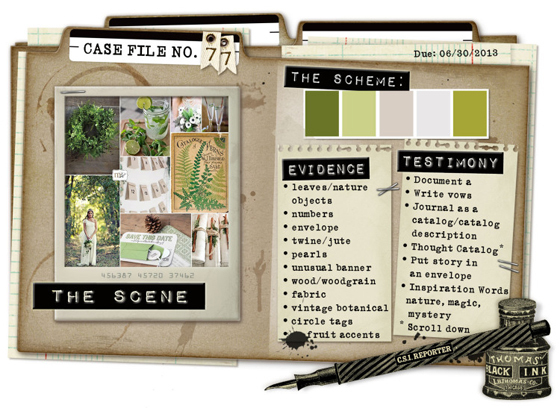 To see another version, where I used this for a pop-up, check out this layout, and this post on the Sizzix blog featuring many suitcase ides. My suitcase is die cut from faux suede paper I got as a RAK from my stamping friend Jan, red for the suitcase and cream for the corners. The handle was die cut from kraft-core cardstock and the little tag from manila. I used a Tim Holtz buckle to hold the suitcase closed. 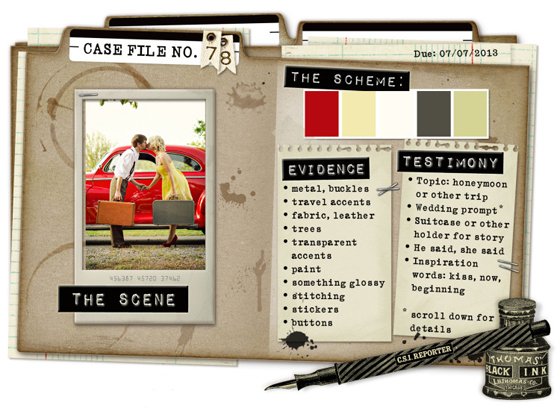 The suitcase was die cut a second time, from manila cardstock, which had been folded. 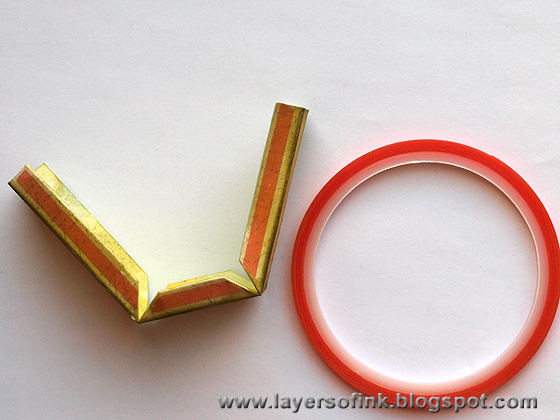 Place the folded edge just inside the lower cutting edge on the die and die cut. That way, you get a suitcase that opens up. I adhered the suede suitcase on top. 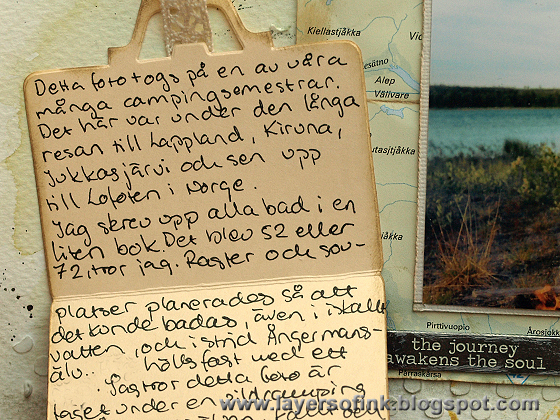 Inside the suitcase, I wrote the journaling about this one, and other, camping trips we did as a family. On this trip we went to the north of Sweden and Norway. All our stops were planned in a way so that we could go for a swim, even in really cold water, and rivers. I recorded every swimming event in a little book, writing down the place and if we knew it, the temperature. I haven't seen that book for a long time, but I am pretty sure that it was either 52 or 72 times that we went swimming on this trip. Thank you for the visit! Have a great weekend! Hello everyone!! 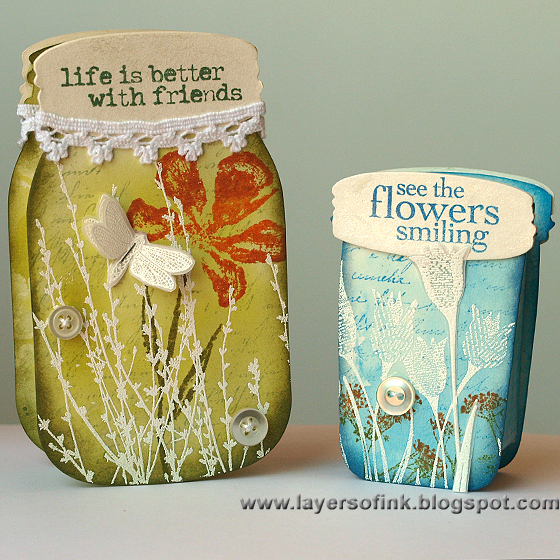 Today I have a Sizzix tutorial to share for two summery mason jars, made with Eileen Hull's Canning Jars Scoreboards die. 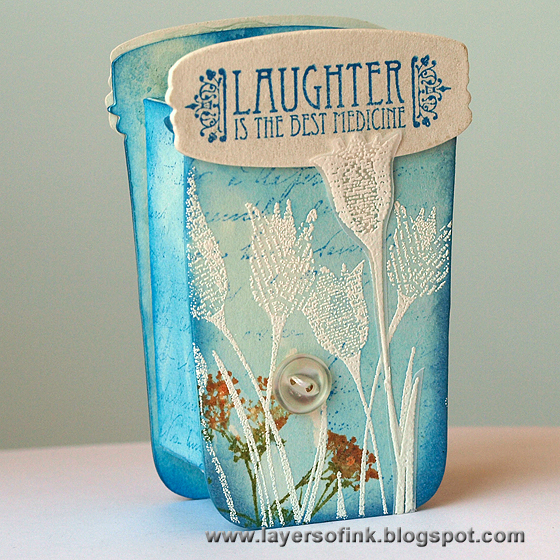 There are two sizes jars on the die, and they are such fun to make. I used only mat board, ink and stamps to make these (apart from the buttons and ribbon). Did you know that mat board works great also with techniques involving water? Love that, since watercolour/ink techniques are among my favourite. I did a resist technique here. Let's start with the large jar. 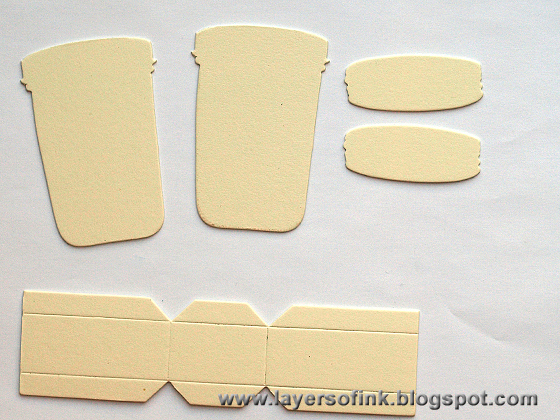 Die cut the follwing pieces from cream mat board. This is an XL die, so you need the extended cutting pads. On the piece at bottom, you can clearly see the scorelines, which makes Scoreboards 3-D projects so easy to assemble. 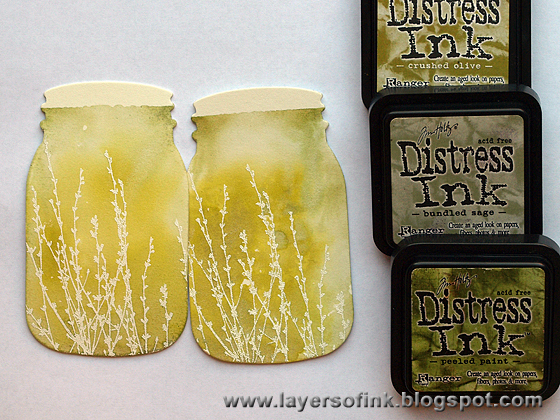 White emboss a grass-type stamp on both jar pieces. You can clear emboss it too, the effect will be very similar. I used the acrylic block technique to colour my jars. 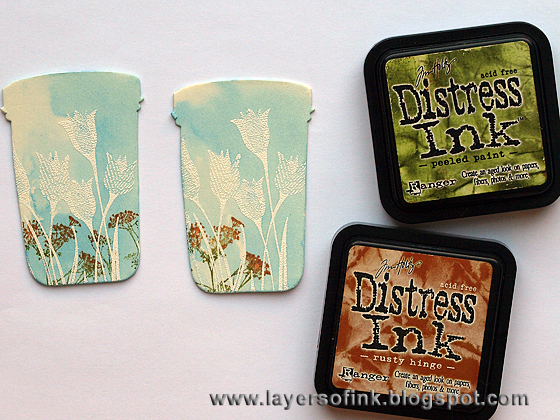 Smear Distress Inks on an acrylic block, large enough to cover your project. Mist with water, and a few mists of Perfect Pearls for shine, the block needs to be quite wet (experiment on a scrap piece of mat board first). Press the acrylic block on the mat board, you might want to wiggle it around just a little bit to make sure there is ink everywhere. My block was slightly too short, but it doesn't matter, since the lids will go at the top. If you want a very shimmery effect, leave out the water, and mist only with Perfect Pearls. I wanted just a hint of pearls, so misted water on the block first. Do the same on the inside of the jars, as well as on the box piece. Leave to dry. 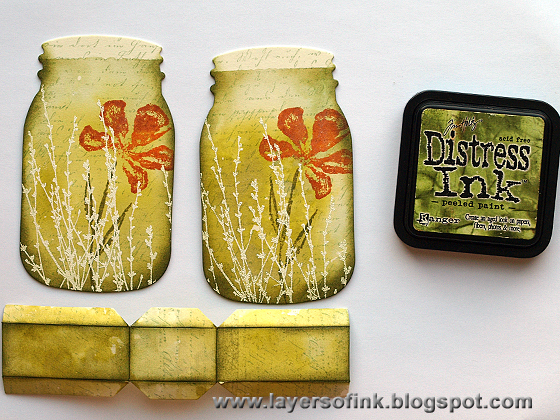 Ink a flower stamp with Spiced Marmalade, Rusty Hinge and Peeled Paint. Mist with water or Perfect Pearls about three or four times, and stamp. 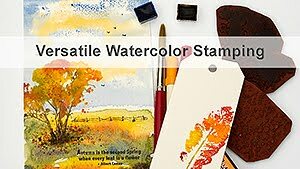 This gives a great watercolour effect. 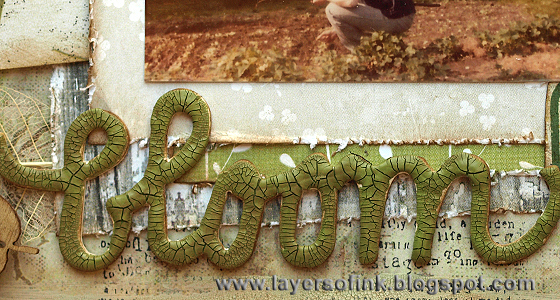 Stamp a script stamp with Bundled Sage, to add texture. Ink the edges with Peeled Paint. This step gives dimension to the jars and makes them look rounded and three dimensional. Mist the two lids with Perfect Pearls mist and let dry. 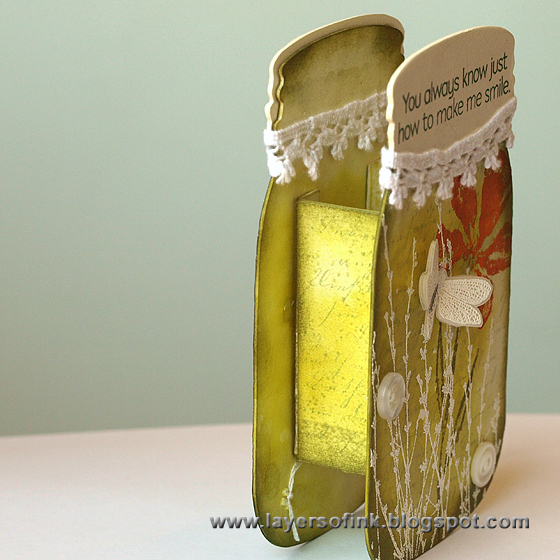 Stamp sentiments on top with Olive Archival Ink. 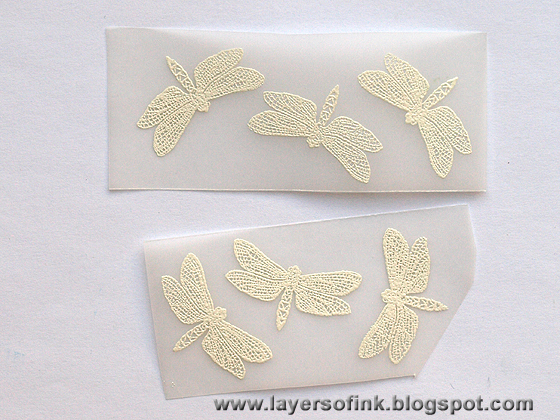 White emboss dragonflies on vellum and cut them out. 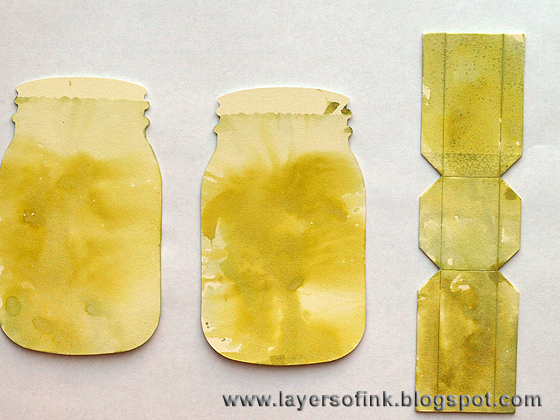 Glue the lids to the jars and add a piece of lace underneath them. 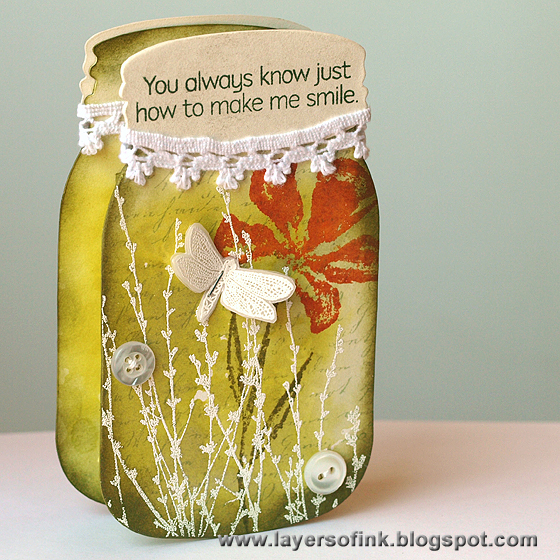 Layer three dragonflies together and staple them to the jars. I also stitched buttons to the jars. Apply a strong adhesive along the flaps on the box part of the project. 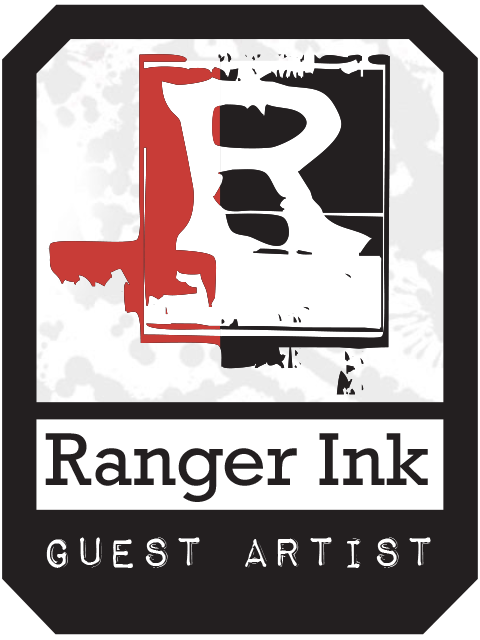 I used Ranger's Wonder Tape. Adhere the box between the two sides. All done, ready to be filled with a little gift, sweets, or maybe handmade flowers. Here you can see the shine of the Perfect Pearls better. The small jar was done in a similar way. 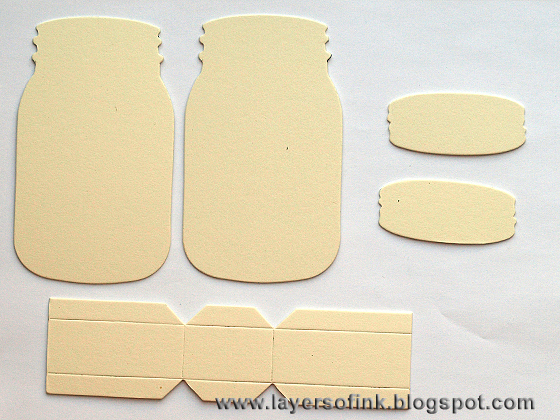 Die cut the small jar from mat board. 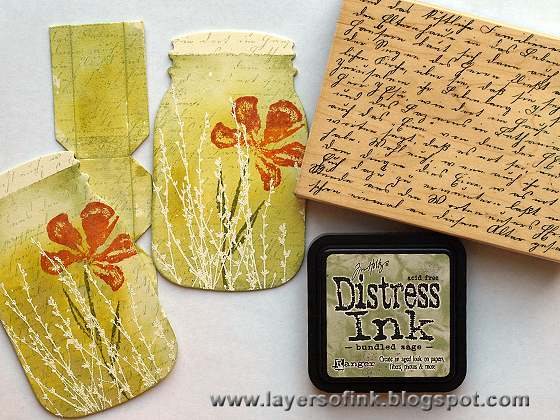 White emboss Hero Arts Newspaper Tulips, or another flower stamp, on both jar pieces. Smear blue distress inks on an acrylic block, mist with water and Perfect Pearls and press onto the mat board. 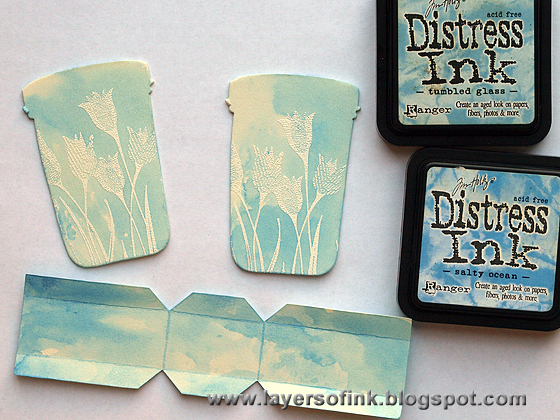 Ink a flower stamp with Rusty Hinge and Peeled Paint, mist lightly with water and stamp. 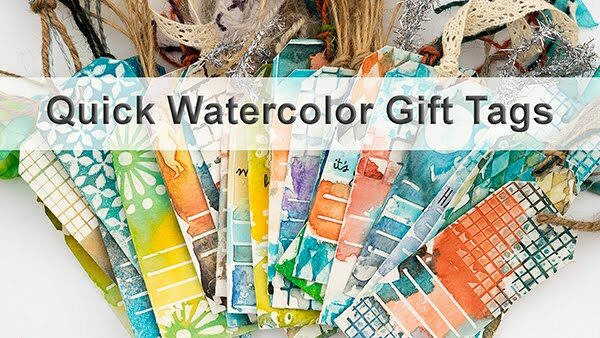 Stamp a script stamp using Salty Ocean and ink the edges with Salty Ocean and Stormy Sky. 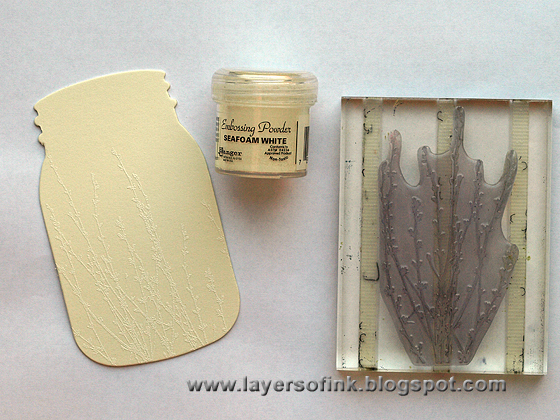 White emboss the tulips on vellum and cut one out and adhere to the jar. Mist the lids with Perfect Pearls, leave to dry and stamp a sentiment with Manganese Archival Ink. Here's the other side of the small jar. By using different sentiments or stamped images, the mason jars can fit many different occasions. Thank you for looking at the tutorial! Hi everyone! 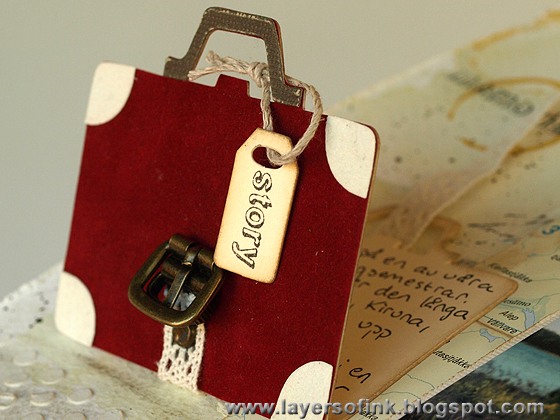 Today I am sharing my version of Tim Holtz 12 tags of 2013 June. 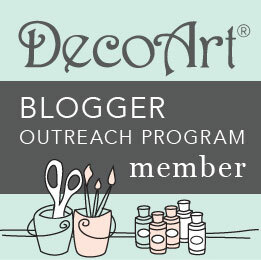 I used different colours and stamps than Tim did and added a few extra items to my tag. 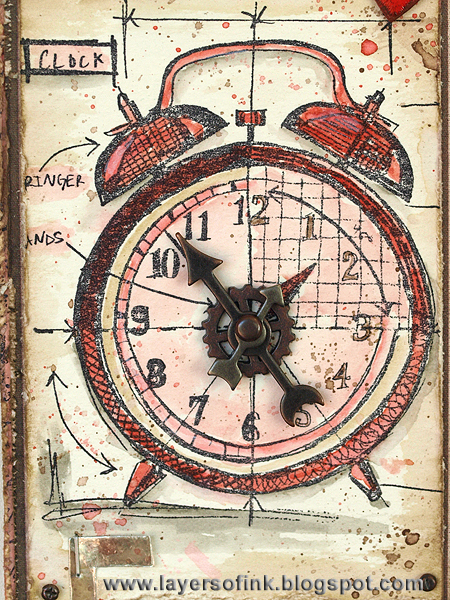 The blueprint watch was stamped with Archival Jet Black ink on watercolour paper and watercoloured with a mix of Distress Markers and Distress Ink. I found that I got a more vibrant red by using Fired Brick ink rather than the marker, so I used the ink for the red parts. 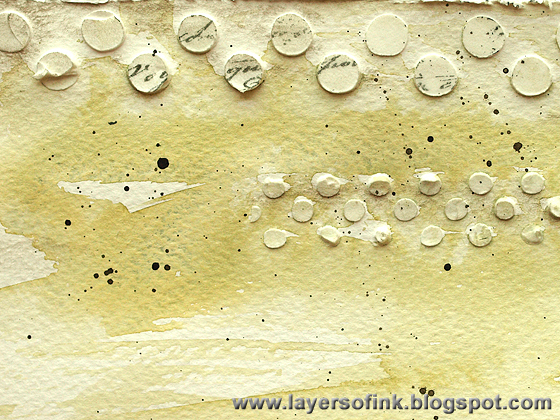 It is so easy to add a shadow with the Pumice Stone marker and I love the little splatters. I loved Tim's idea of using distress paint, ink and stain together for the background, and used Spun Sugar paint, Fired Brick ink and Barn Door stain. It was stamped with a script stamp. 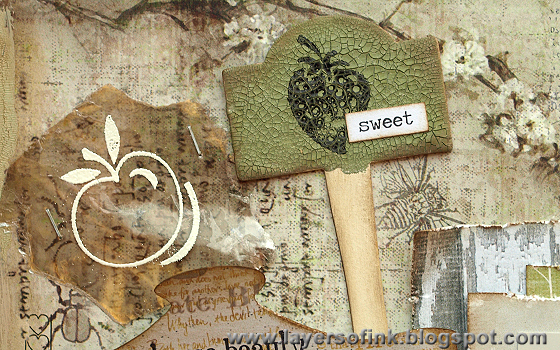 The little hearts were die cut from mat board, inked with Gathered Twigs and Barn Door and coated with Crackle Accents. A close-up of the clock part. Watercolouring with Distress Ink is one of my favourite technique and I do it a lot, but I have only used the markers for this a few times. I find myself reaching for game spinners often, and a watch centre just seems want game spinners, and a little gear. I placed mini screw brads in the corners of the focal panel. 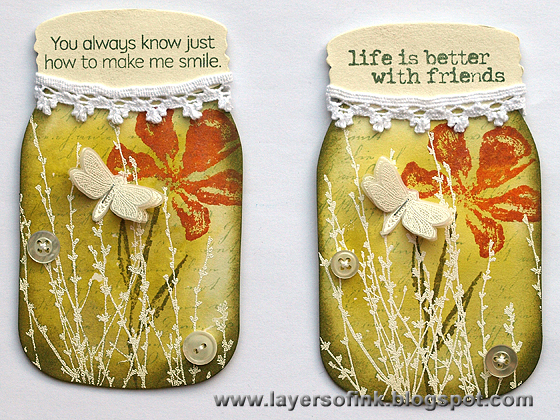 A number was die cut from mica with the Word Play die and I mixed some label and Chit Chat stickers for the sentiment. A piece of French Industrial patterned paper was layered underneath the focal panel. Hello and welcome! 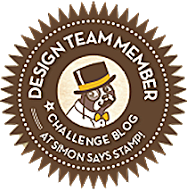 This week our challenge at Simon Says Stamp and Show is all about stripes. As every week, don't miss the gorgeous work by my team mates. 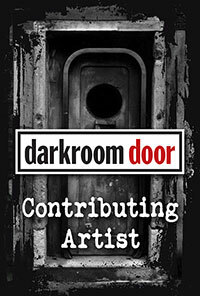 We also have a new team mate, Meihsia Lui, check out her blog, it is full of inspiration. I am looking forward to seeing everything she will make. I was inspired to do a triptych showcasing some old family photos. 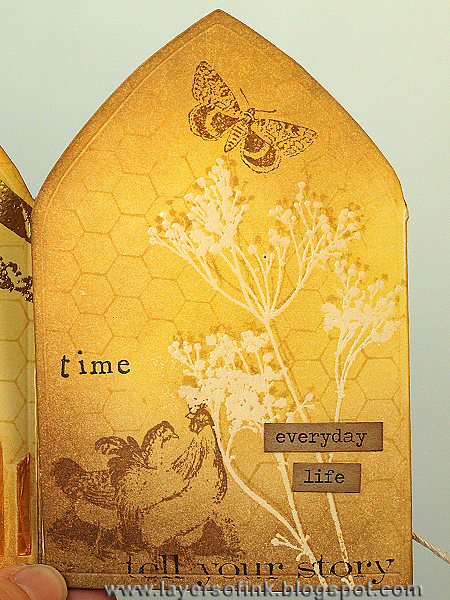 For my stripes, I used Wendy Vecchi's Yikes...Stripes stencil, together with her Metallic Gold Embossing Paste. It was meant to symbolise newly plowed soil on a farm. 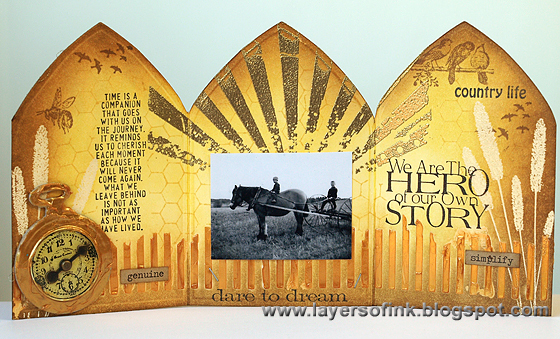 My other type of stripes are the rays from Tim Holtz Psychedelic Grunge set, gold embossed as the sun above the photo. 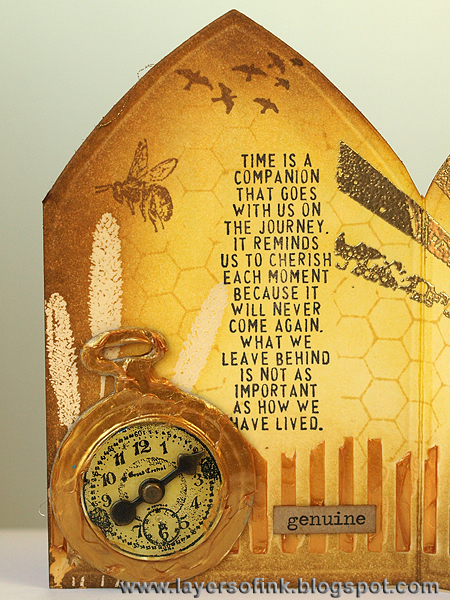 The triptych was made with Tim Holtz Arch Frame die. I measured the distance between the cutting lines on the sides of the arch and cut and folded a long strip of manila cardstock, so that one side could be placed inside the cutting line. It didn't work to cut all three panels at once, because the Arch Frame has a scoring line, which cuts through the paper if you cut too many at once. The trick is to place the one folded edge just inside the one cutting edge, and to let the cutting edge on the other side remain just outside the cutting plates - then it won't cut. First I cut two of the panels, and then the third. I hope that makes sense, I forgot to take photos. I applied gold embossing paste through the Yikes Stripes stencil with a palette knife, making sure to get an uneven edge at the top. 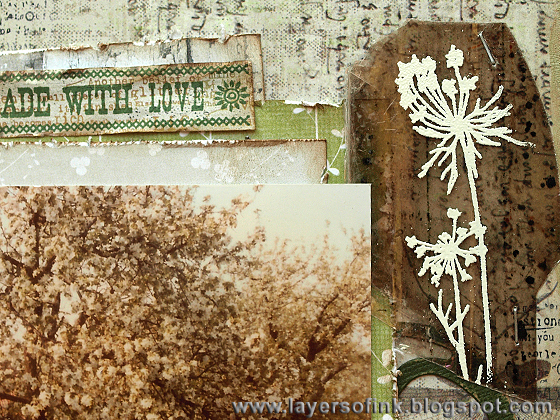 After it was dry, I stamped grass from Darkroom Door and a pretty flower stamp from Tim Holtz and clear embossed them. The triptych was inked with Squeezed Lemonade, Scattered Straw and Gathered Twigs, the clear embossing will resist the ink. Images from Tiny Things were stamped here and there with Gathered Twigs. 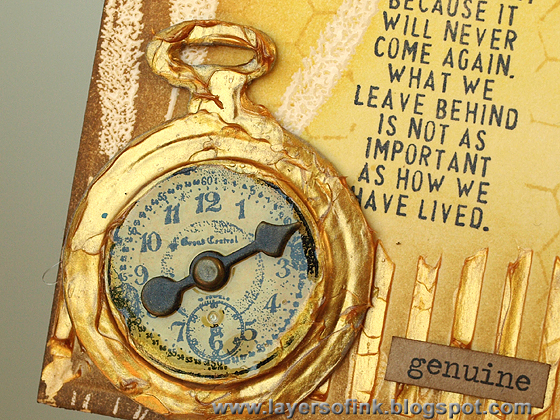 On the first panel, I stamped a great Tim Holtz sentiment and die cut a Mini Pocket Watch from grungeboard. 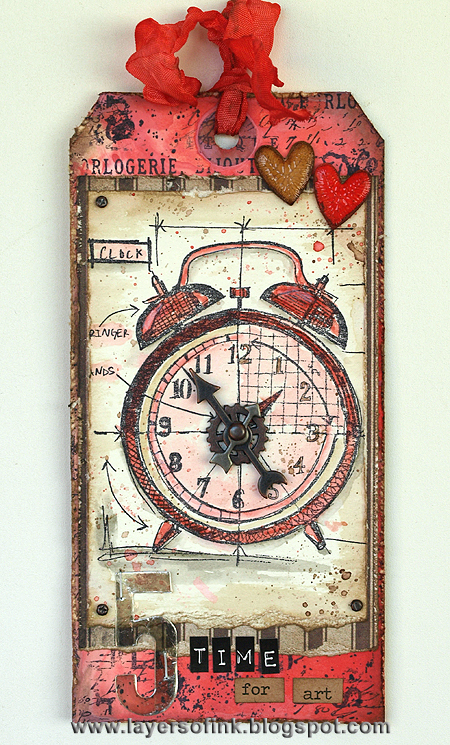 I die cut a circle from grungeboard using the smallest Sized Circle die and painted it with Antique Linen and Mustard Seed Distress Paint.The clock in the Going Somewhere set was stamped on top and placed in the middle of the pocket watch. I smeared gold paste around the clock face. When the paste on the watch had dried, I coated the centre with Glossy Accents. Here you can see the shine of the paste and Glossy Accents better. The gold paste dries to a wonderful shine. This photo is of one of my dad's friends and his brother. Love it. Sentiments from Tim's Simple Sayings were used here and there. 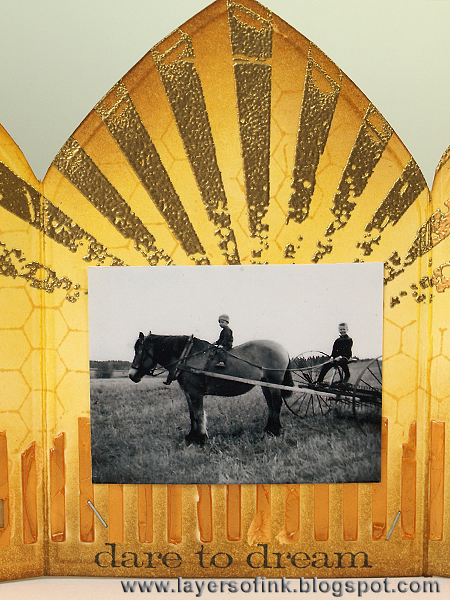 The rays were gold embossed to symbolise the sun shining over the fields. 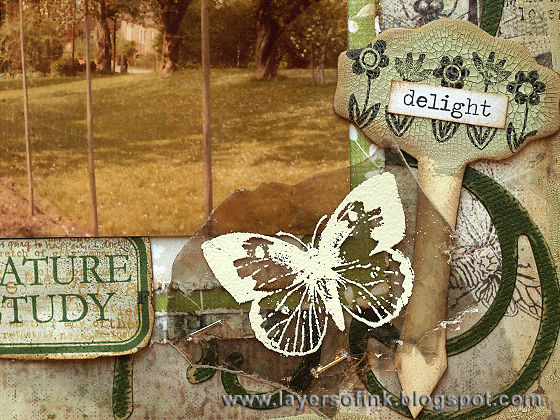 For texture, I used the chicken wire stamp on the Mixed Media set. It was stamped with Scattered Straw, holding the stamp in my hand for a more random impression. I avoided stamping on the sentiments, so that they would stand out nicely. Here you can see the gold paste stripes better. I used some Chit Chat stickers too. When folded up, this is the front of the triptych. I used a photo of my dad with a wheelbarrow, and the church in the background. The rays were gold embossed on the front too. When you open the front, you see this page, with a flower, more sentiments, a little butterfly and sweet chickens. 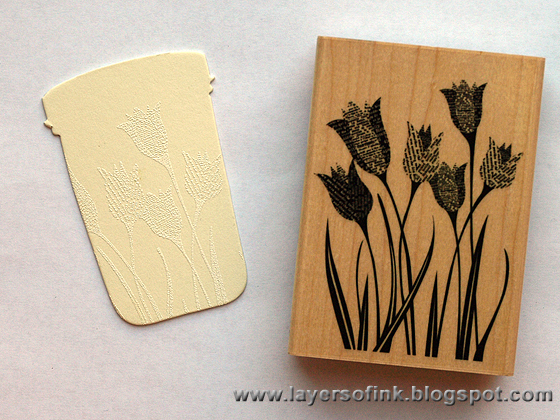 The flower stamp was stamped a second time with Scattered Straw, to create a shadow effect. I hope you will join us this week! 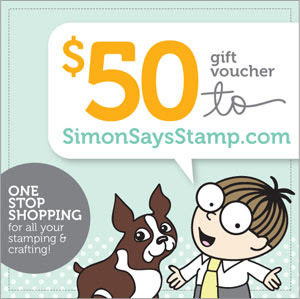 As always our sponsor Simon Says Stamp gives a $50 gift voucher to one random participant. I love the earthy colours and the botanical theme. 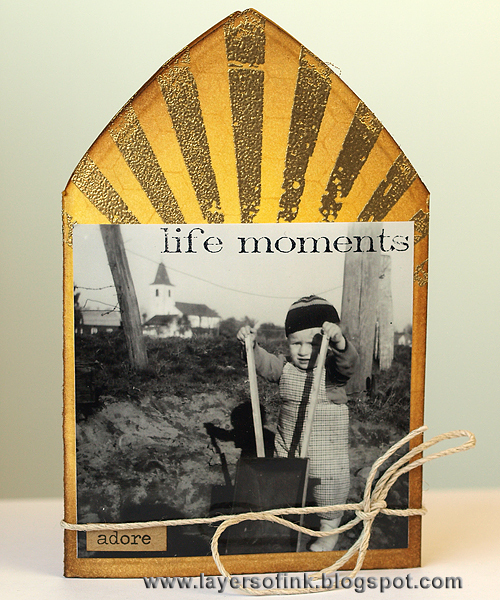 Yesterday, I posted a tutorial for a Garden Memories pop-up album and this was one of the photos I used there, but in a much smaller version. I like it so much that I wanted to scrap a larger version on a layout too. It is of my dad working in the vegetable garden of our old house, with all the apple trees blooming. 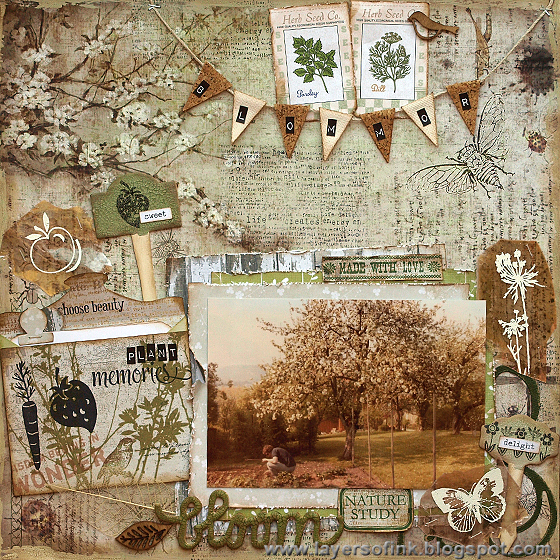 From the evidence items I used: leaves and nature objects, envelope, twine, unusual banner, woodgrain, vintage botanical images and fruit accents. I tucked my journaling into a seed packet envelope, it is about gardening in this garden, but especially about a funny memory of a strawberry thief. He came to visit frequently for a while, and we had a pretty good idea who it was. One day we prepared some of the largest and yummiest looking strawberries with black pepper and salt, and later we could follow a trail of strawberries that someone had tasted only to realise they tasted horrible. As far as I can remember, the strawberry thief did not come back, and the story became an often laughed about family tale. I found a very pretty FabScraps patterned paper in my stash, which worked real well for this layout and case file, it was embellished further with some stamping. The banner was made with Karen Burniston's Flagpole w/Lantern & Sign die, from cork and canvas. The word on top spells 'flowers'. 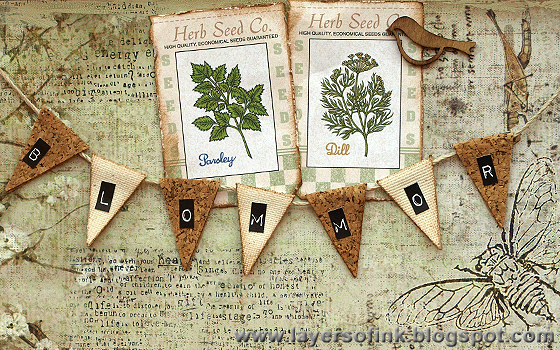 I found the seed packet images in a really old ephemera book from Hot of the Press, one of my first scrapbooking supplies I think. The little bird has been aged with a walnut ink mix. One of my favourite natural products is mica, and here I white embossed three different stamps on mica pieces and stapled to the layout. 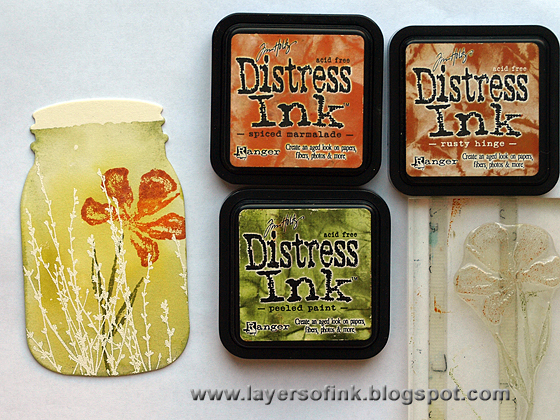 This flower stamp and the 'nature study' label stamps were a RAK from my stamping friend Jan. The cute Plant Markers come from Eileen Hull's new Picket Fence collection. 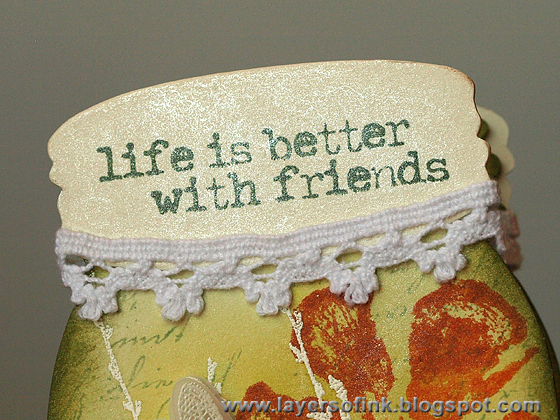 I die cut them from mat board and painted with two colours green crackle paint (Old Paper and Peeled Paint). When dry, they were inked with Gathered Twigs and I stamped a strawberry on the one and a row of flowers on the other. 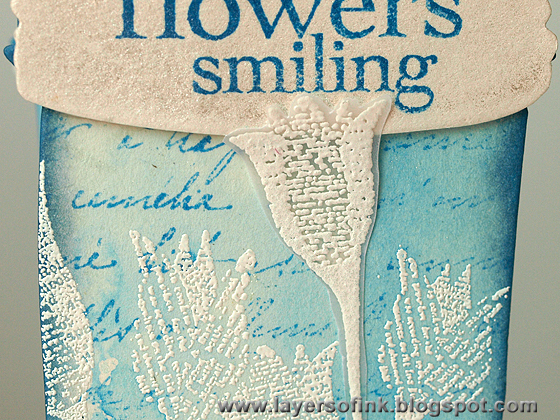 For my journaling, I created a little envelope with Eileen Hull's new Seed Packet Envelope die. I love this die, it makes the cutest looking envelopes. 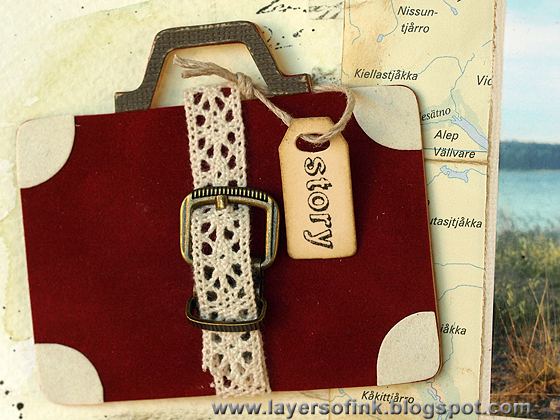 Here I left it open, to make it easy to take out the journaling cards and to show off the pretty flap. 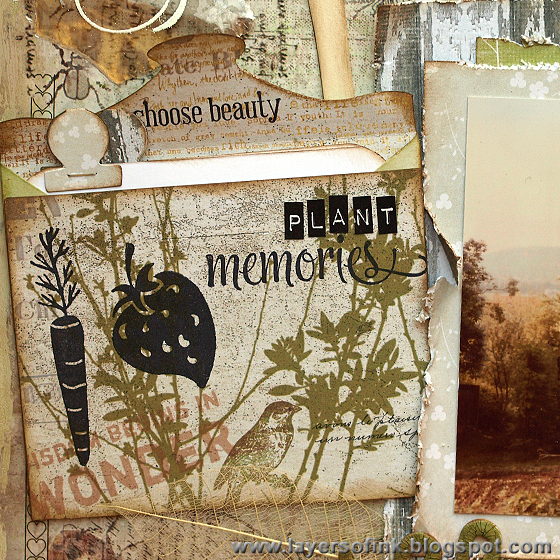 I used it in a similar way in my Garden Memories Album. 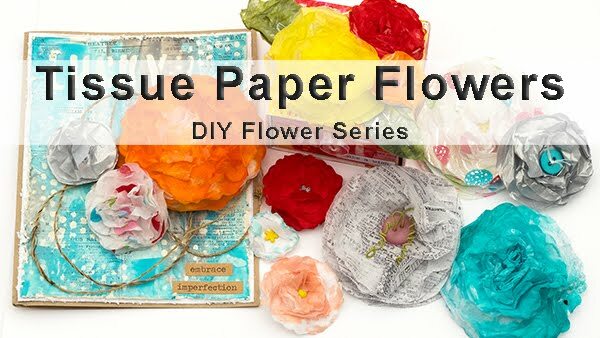 I first die cut it from white paper, and then again from this pretty 7Gypsies paper, only using the front part and a piece to cover the flap. A strawberry and a carrot were stamped on top, both growing in the vegetable patch where my dad is working on the photo. 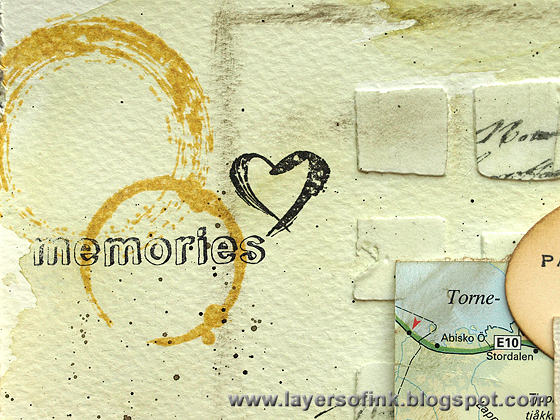 'Memories' comes from a new Hero Arts 'Stamp your story' set. I also found a skeleton leaf in my stash. 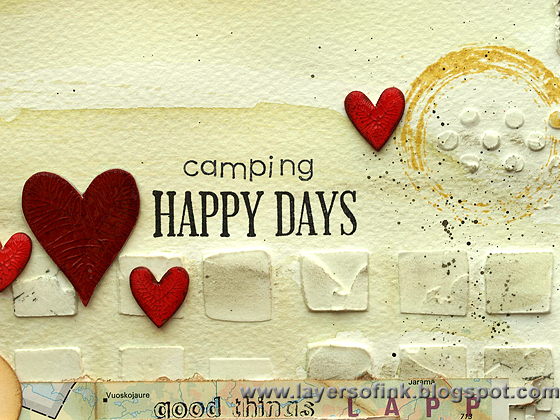 The tabs on the journaling cards were die cut with the Tiny Tabs & Tags die. The 'Bloom' word comes from the same die as the Plant Markers. Isn't it pretty? I die cut it from mat board and painted with Peeled Paint crackle paint. When dry, it was inked with Gathered Twigs. The second Plant Marker was painted with Old Paper crackle paint. 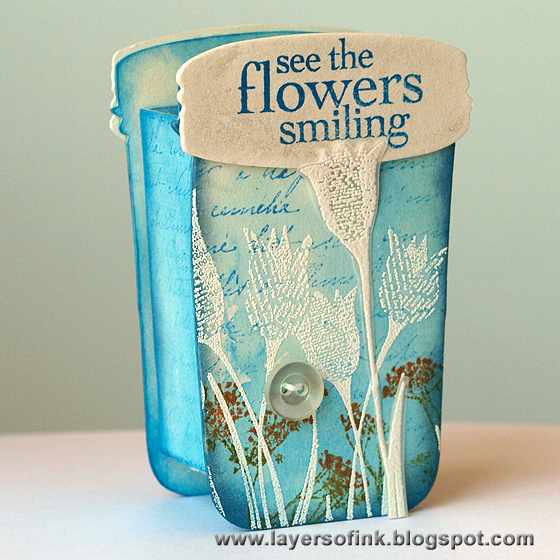 The flourish underneath comes from a new Sizzix Prima die and was die cut from kraft core paper. Thank you so much for looking! Enjoy the rest of your weekend!